Entrance paving, Who is responsible? Thread: Entrance paving, Who is responsible? Can someone tell me up to which point is our responsibility? Today, a MPSJ contractor came around asking for RM250 to pave the front entrance to my residence. Make a complain to your RA/RT, my area USJ9 has the same problem where the contractor begin scouting for "business " before the actual re-surfacing the roads. If the front entrance is not part of your house compound, don't need to pay. If is your house compound and you want it to be tarmacked, don't expect free. The contractor earns a living by doing this job, nothing wrong of him asking money to tarmac your private compound. ....If is your house compound and you want it to be tarmacked, don't expect free. The contractor earns a living by doing this job, nothing wrong of him asking money to tarmac your private compound. I would not expect that to be free if it's inside my gate. I have a landed house in Malacca. I can understand what you mean. 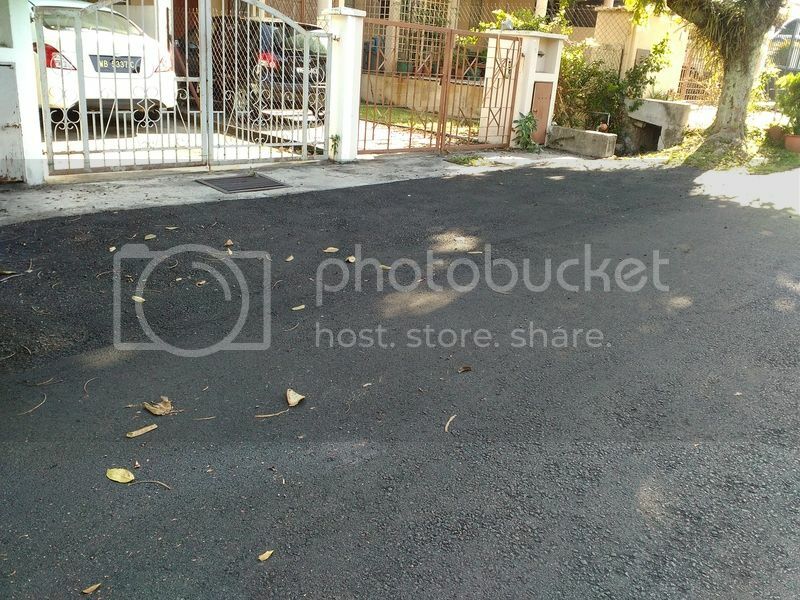 Before GE12 (2008), the local council resurfaced the road in front of the house with new tarmac except the frontal entrance of houses. My Dad who live in the house told me the contractor requested money to tarmac the entrance area but he didn't want to pay. I asked a contractor that I know to cement the frontal area.. the cement is still in good condition until now. Sorry for the late reply. I lived in USJ12. Early this month, the whole of USJ12 was retarred. The retarring INCLUDES your driveway from your gate to the road. They will first retar all the driveway FOC. This is p okart of the scope of work. But if there is a Lorong, they will NOT retar it at all. In my case, I managed to negociate with them and got it done for free. Hope to take some photo to show them here. Sorry to note insufficient compaction of the road. They use those small portable compactor to do those small jobs. can expect it to do a good job. Isn't that lane also public road? How is it it's not paved? After coming around, I have still not seen any signs of them preparing to do the paving. Think it was another scam. I was referring to #9 which should be done by a roller. Portable compactor can do a good job. The temperature of the premix has to be correct. 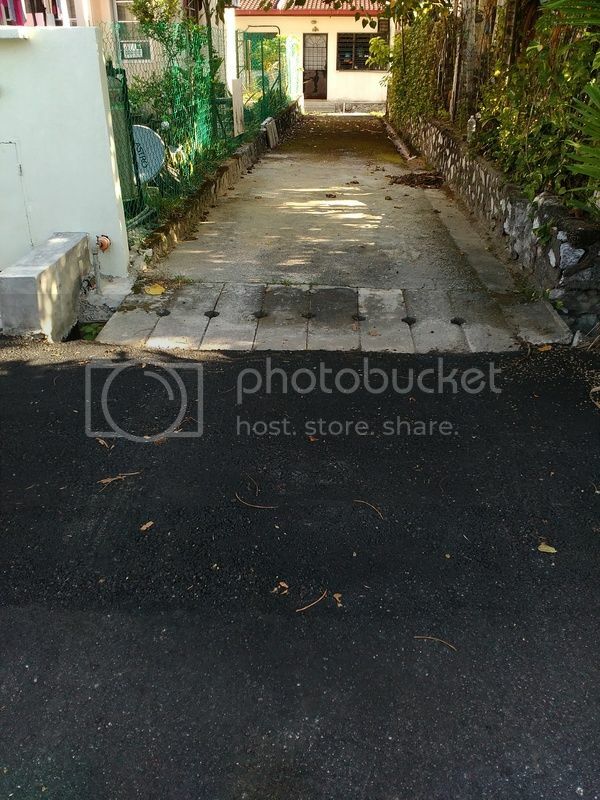 Die lah if this Lorong is a public road. Actually this Lorong is the usual firebreak which is mandatory for a row, if there are, say more than 20 terrace houses. There should be a gap of at least 20 feet. The lorong is usually cement rendered. More ever this is not a drive through. It zig zagged over a small drain thus preventing mat rempit to take a short cut. That is the reason why I chose to buy this house that also came with a 10 foot build up terrace where I can even place a ping pong table there. I can easily park 5 cars at the lorong. Chang is right when he labelled this a a private car park. That is why MPSJ did not include it to be retarred. But those Samy "Velued" guy were so nice to come with the balance tar and a compactor to finish off the job. I provided those 4 workers with biscuits and drinks.